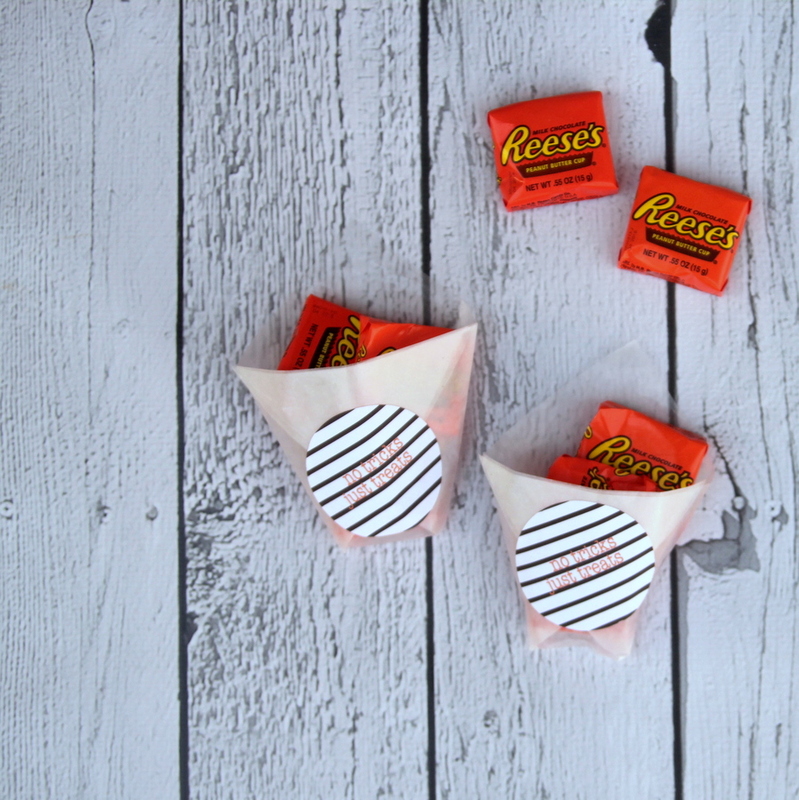 A fabulous folded favor box plus a stripe-y “No tricks, just treats” label equals a super simple (and equally fun) Halloween project! 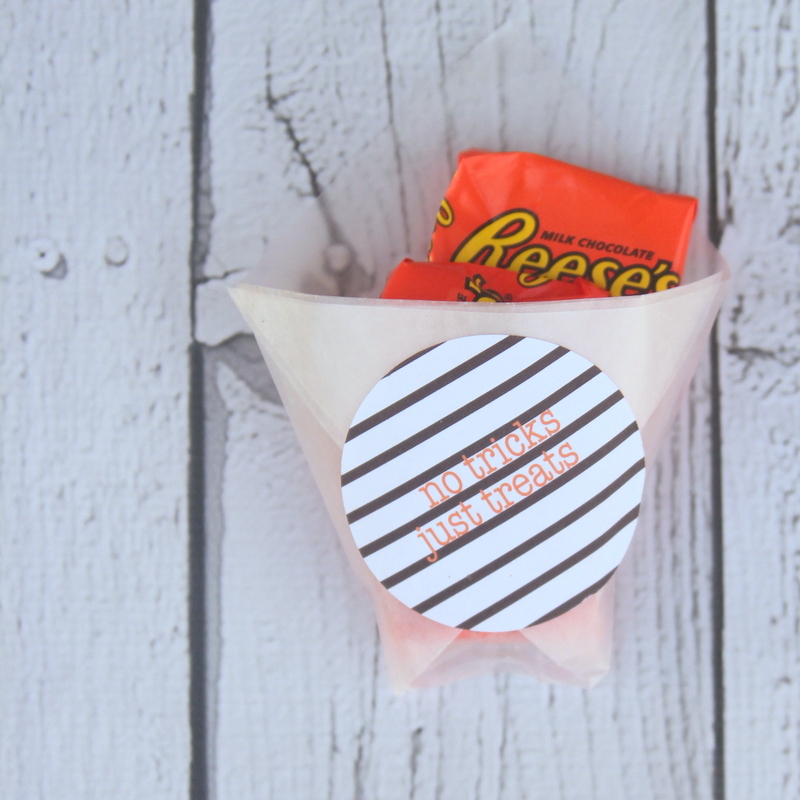 We shared these semi-homemade (storebought with a handmade twist) treat bags at eighteen twenty five during their Spooktacular series and thought we’d share them here as well! 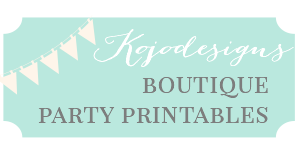 To make them, fold parchment favor bags (I followed this tutorial- so cute, right?) and fill with Halloween treats. 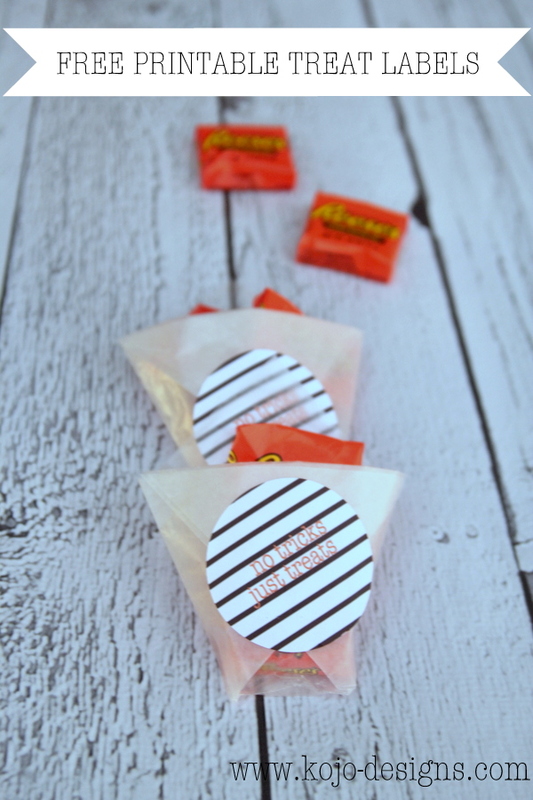 Print out a sheet of the free printable “No tricks, just treats” labels and stick them on the treat bags. Easy and fabulous- my favorite combo.